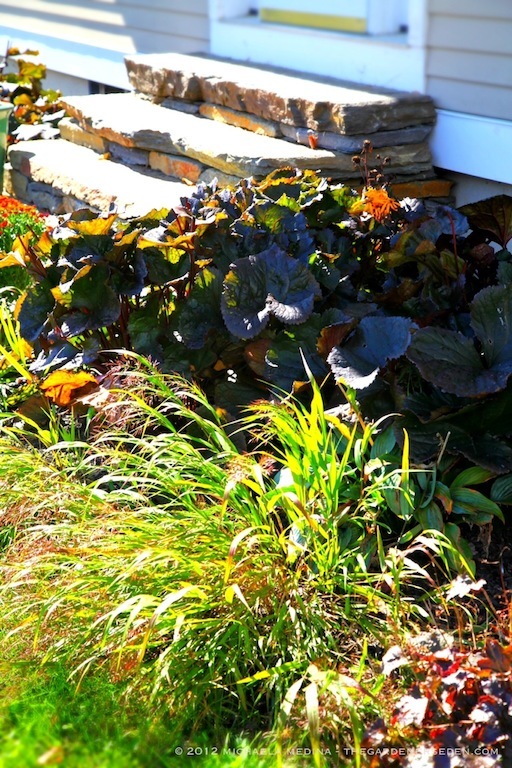 With Properly Prepared, Edged & Mulched Planting Beds —Provided Here by Turner & Renaud— As Well as Diligent Weeding and Adequate Watering (Soaker Hoses Here Provide Water at the Root Zone; Preventing Evaporation and Delivering Moisture Only Where Needed) This DIY Entry Garden Planting Has Grown to Impressive Proportion in Just One Year. 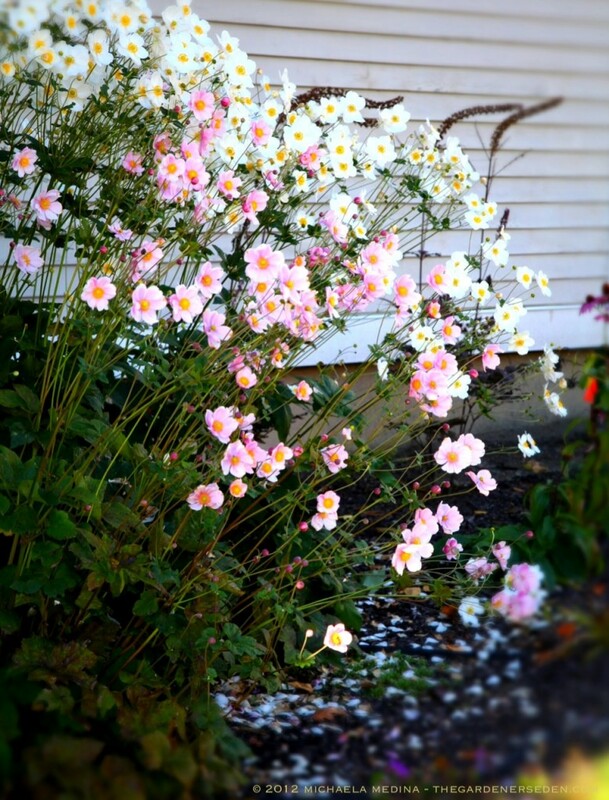 Garden Design: Michaela M. Harlow. 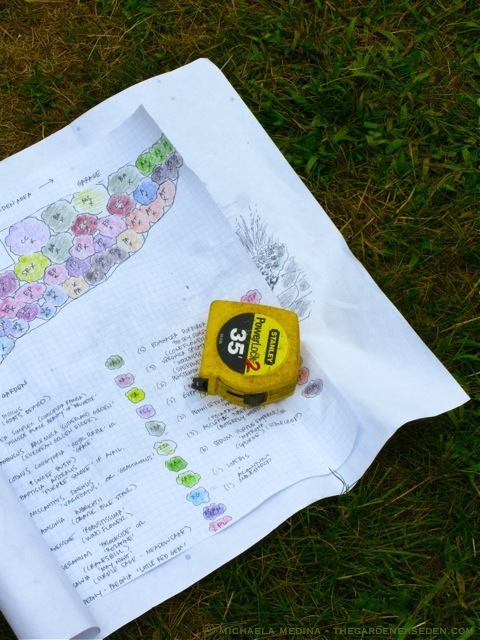 Over the past few years, with revived interest in homesteading, victory gardening and self-reliance, the number of gardens I’ve designed for do-it-yourself landscaping clients has increased dramatically. I’m extra proud of these new friends and their projects, because they involve two of my favorite things: designing gardens and teaching others how to garden. Over the years, I’ve discovered that anyone with desire and dedication can learn to garden. I simply do not believe in “black thumbs”; those rusty digits just need a little polishing and training, and they will be verdant in no time! 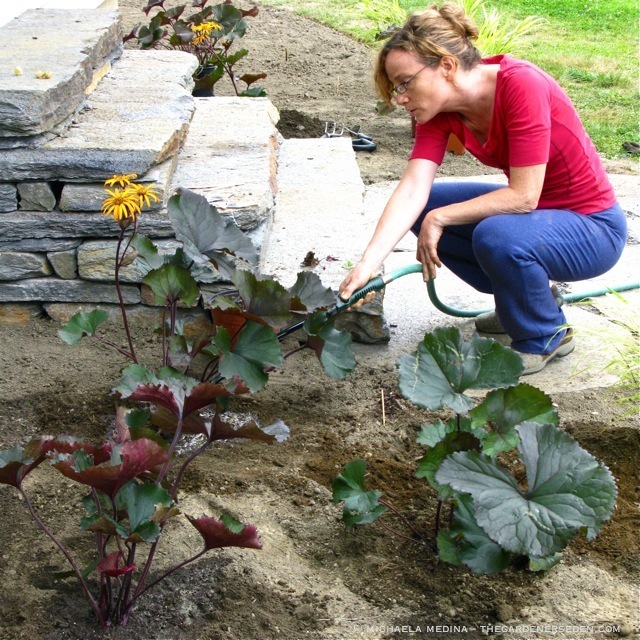 This Photo of Mary Kay, Watering in Ligularia ‘Britt Marie Crawford’, Was Taken in the Summer of 2011. Stone Steps by Alec Goldschmid. Site work & Perennial Bed Preparation by Turner & Renaud. Plants from Walker Farm in Dummerston, Vermont. 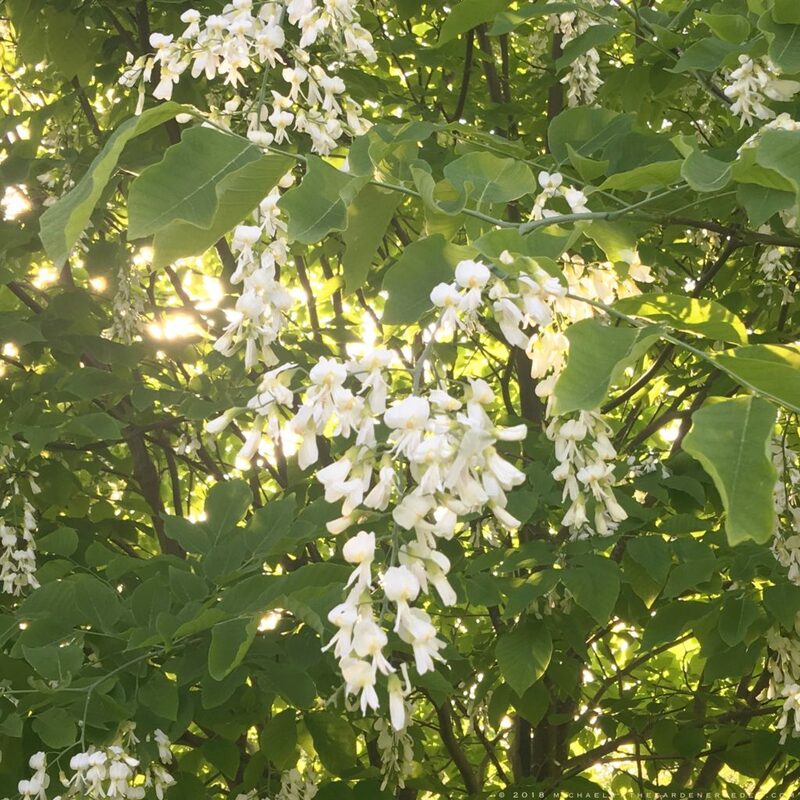 One of my favorite, recent DIY projects came about when I met Mary Kay and Greg at Walker Farm in Dummerston, Vermont, after presenting a Four Season Garden Design seminar last year. I’d stayed on at the farm for an hour or so to answer questions after my talk, and Mary Kay and Greg happened to be simultaneously shopping for a Japanese Maple (one of my favorite trees). 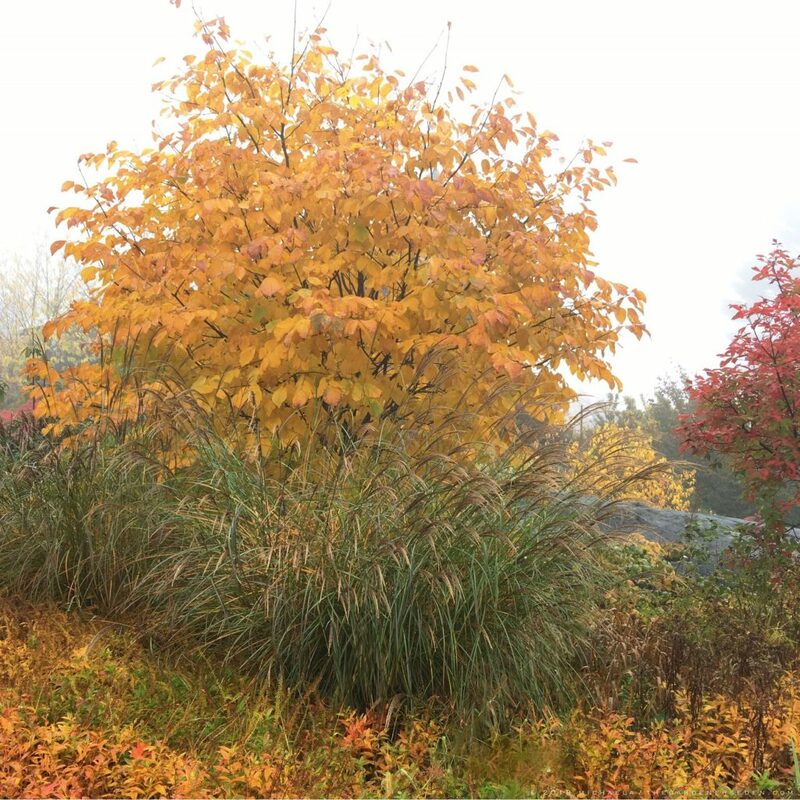 As fate would have it, Greg’s mother —an experienced horticulturalist and plant hybridizer— struck up a conversation with me about Acer palmatum. She mentioned that Mary Kay and Greg wanted to plant a new garden for themselves, but were in need of some professional guidance in the form of a garden designer. She introduced us and we discussed the possibility of a designing/garden coaching arrangement. My spring schedule was already filled with full service garden design projects, but I really liked Mary Kay and Greg’s DIY enthusiasm, so we spontaneously arranged to meet at their place for a garden design consultation later that day. 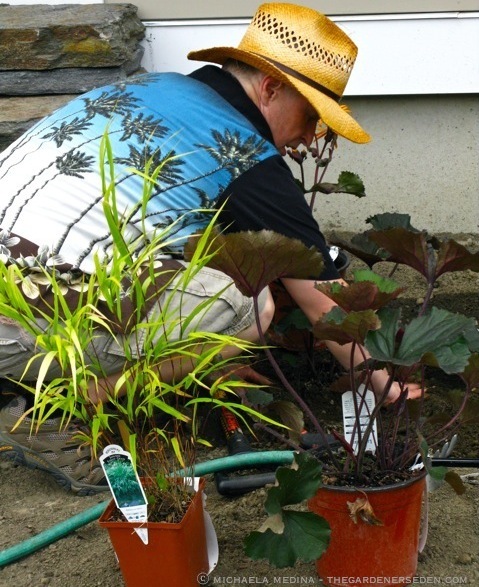 Meanwhile, Greg Plants Hakonechola macra ‘All Gold’ and Ligularia ‘Britt Marie Crawford’ on the Opposite Side of the Stone Steps, According to the Planting Plan. When I arrived at Mary Kay and Greg’s home, I had the opportunity to meet a few additional members of their family. Although the couple were relatively new to ornamental gardening at the time, they’d been successfully growing edibles at their place for a couple of years. I’d already learned that Greg’s mother is a retired, professional horticulturalist, and I soon discovered that Mary Kay’s father is also an avid, and experienced gardener. I was encouraged to know that my new clients would have plenty of gardening support and advice available from “green thumb” parents on both sides. As all DIYrs know, one-on-one assistance and tips from an an experienced helper are truly invaluable when you are learning a hands-on skill. Local stoneworker, Alec Goldschmid was contracted to construct new drystone steps and a landing area for the front entryway. In the future, a stepping stone path and patio may be added, so the garden was designed and planned with this in mind. Once the stone entryway steps were completed, Turner & Renaud Landscaping came in to prepare the site for planting a new perennial garden. Poor-quality fill is often used at building sites when homes are constructed, and after examining and testing the soil, we decided to have Turner & Renaud remove the existing topsoil in the planting area and bring in a high quality mix of 50% compost and 50% screened loam. The crew used a tractor to scrape away the old base and build new beds. English edging was used to define the raised bed and separate the planting area from surrounding lawn. With the site work completed, Greg and Mary Kay went shopping at Walker Farm, where they found the majority of plants on their plan. 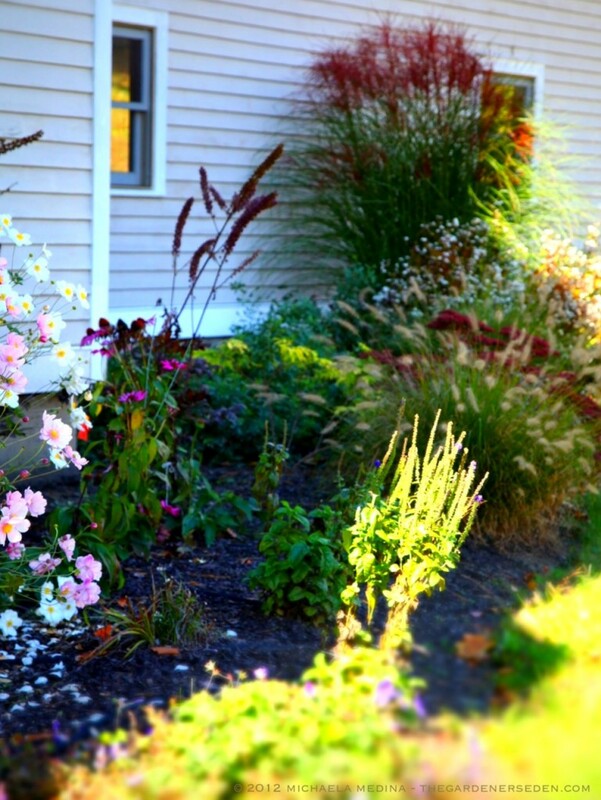 I always advise my clients to buy locally when possible, and other tri-state garden centers —including Bay State Perennial, Rasheds Garden Center and Dynamic Landscaping— filled in the remaining gaps on the shopping list. Once they’d collected all of their plants, I returned to the site to help coach Mary Kay and Greg on the final layout and give them some planting tips and advice. As you can see, they did a fantastic job! Later, Turner & Renaud returned with enough natural bark mulch to spread a 2+” layer on the newly planted beds. 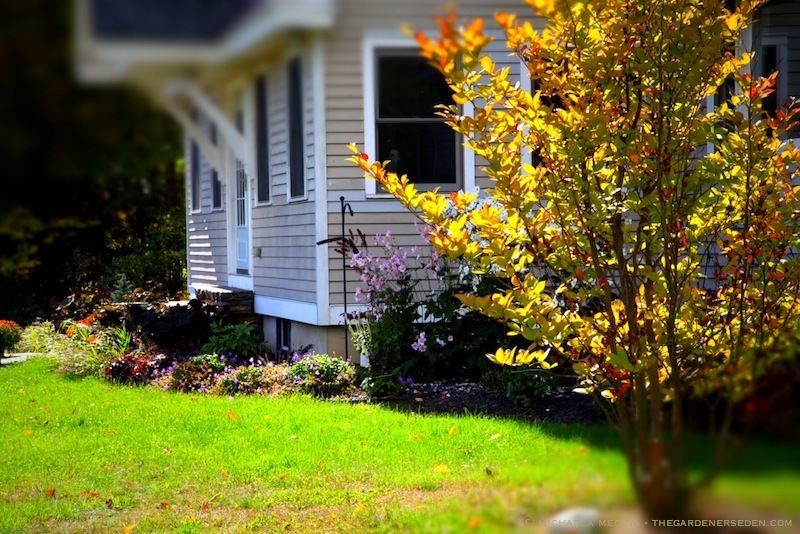 Using some form of mulch is essential to conserve moisture, keep down weeds, and moderate temperature at the root zone in summer, as well as prevent heaving in winter. Soaker hoses were also set up to keep the new plantings well watered during the growing season (more newly installed plants die from dehydration than any other cause). Inspired by Mary Kay & Greg’s success story? 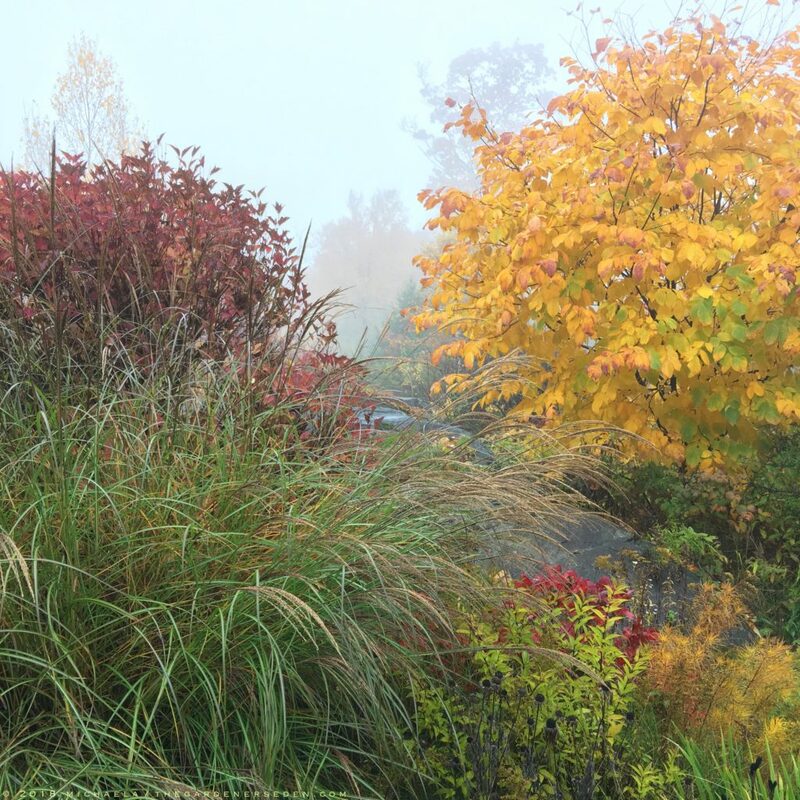 Autumn is a great time to design, plan and prep sites for new gardens. 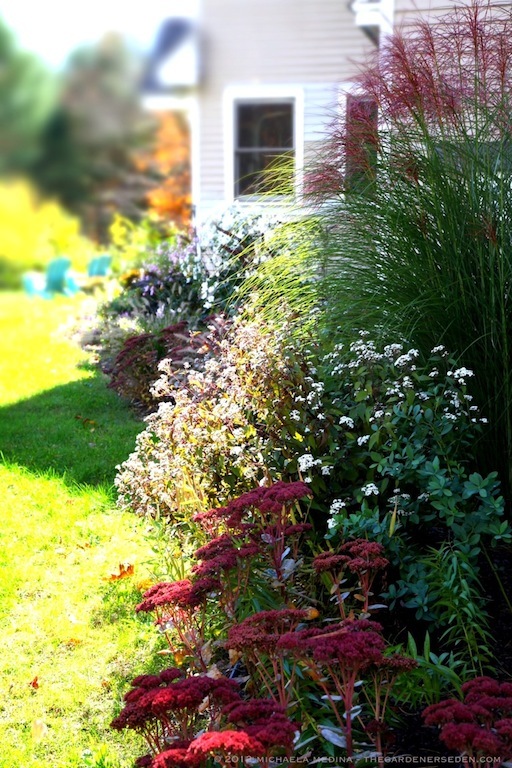 In an upcoming post, I’ll share more tips on how to begin a landscaping project on your own, or with the help of a garden designer and/or contractors. 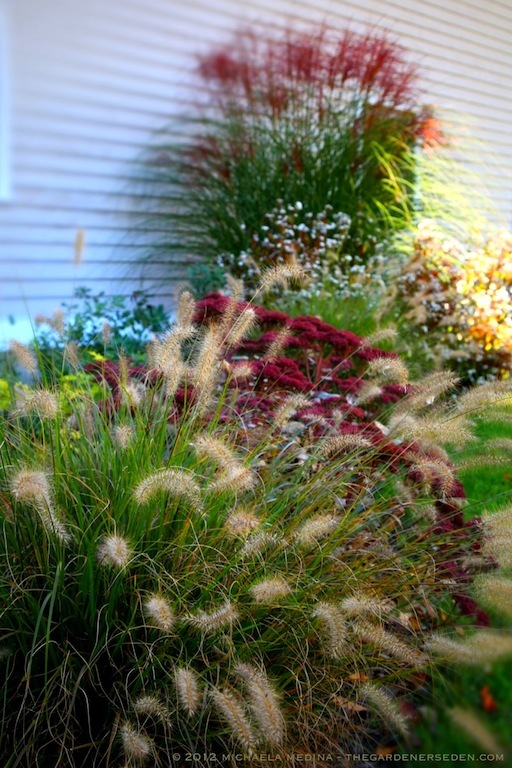 Although there are challenges, the rewards of hands-on-involvement in the creation of your landscape far outweigh the difficulties. Now’s the time to get outside and assess your site. Grab big a pad of 1″ graph paper, a pencil and measuring tape. I’ll meet you back here next week and we’ll get started! You are currently browsing the DIY Garden Design category at The Gardener's Eden.